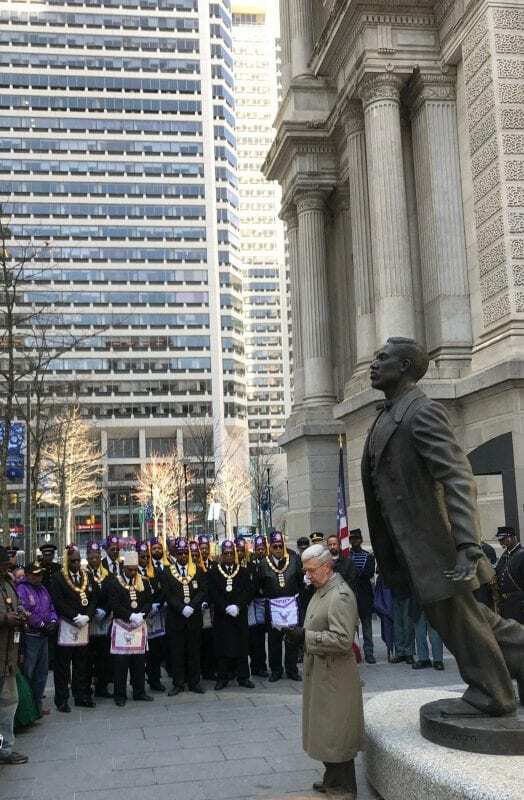 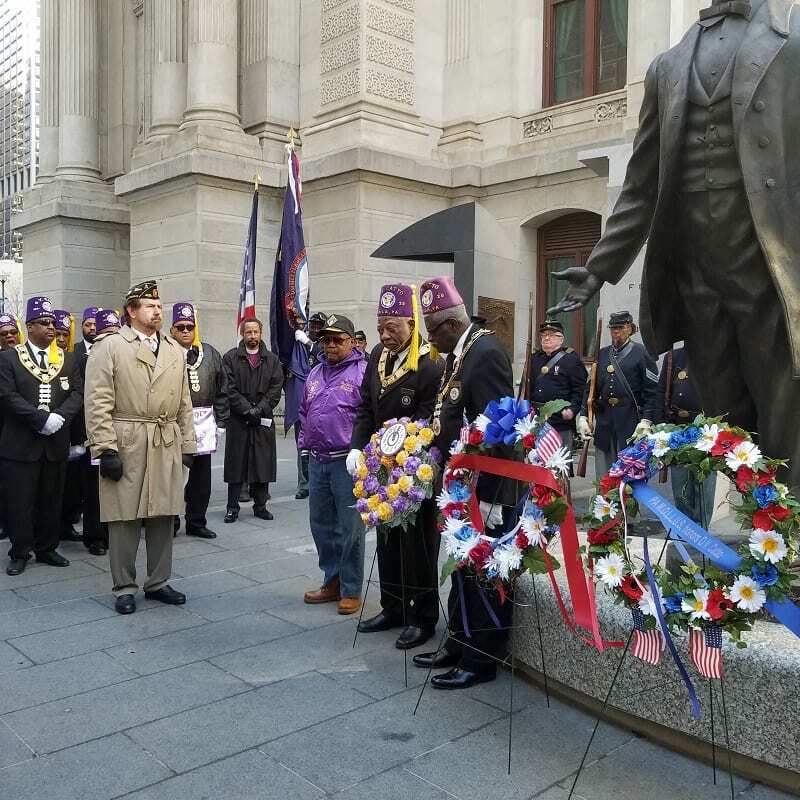 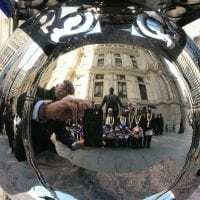 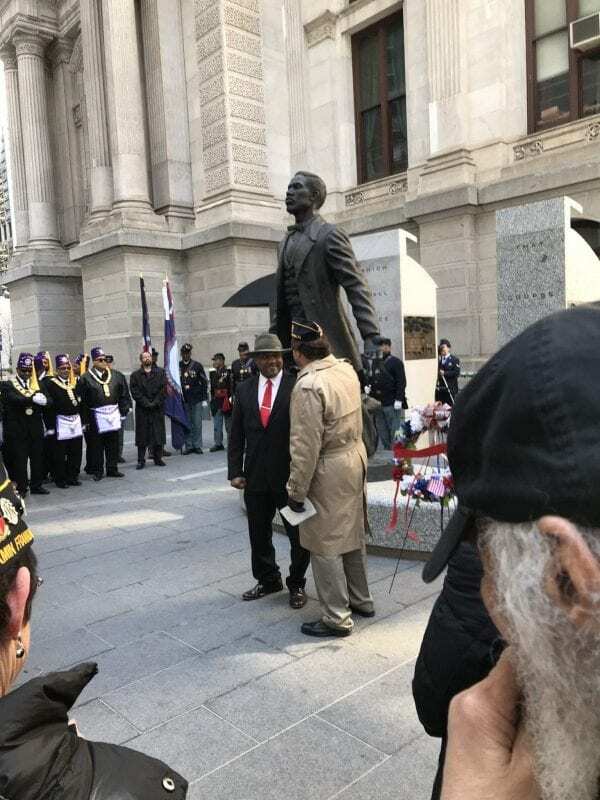 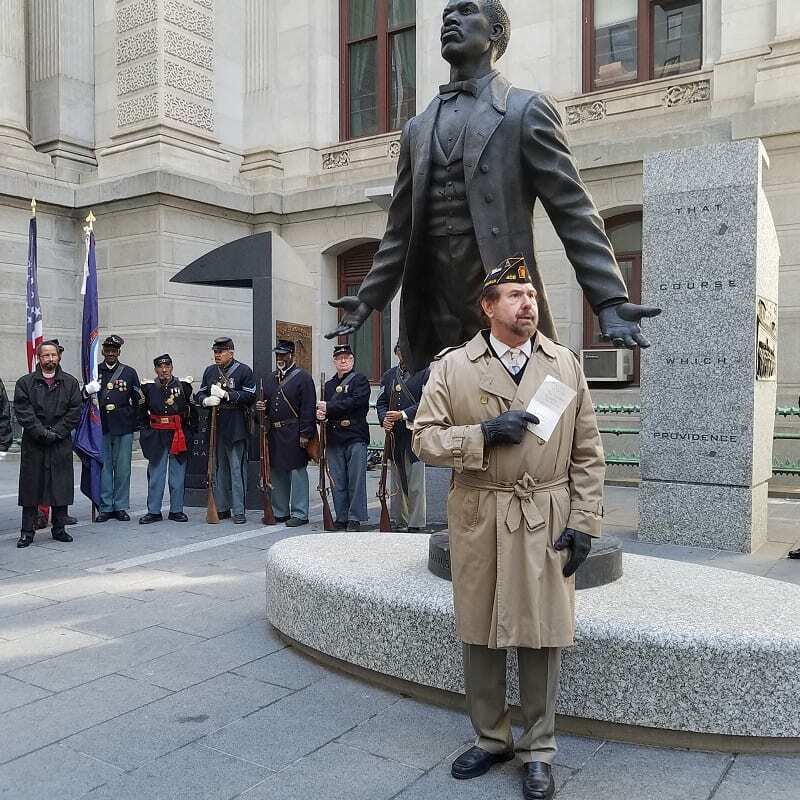 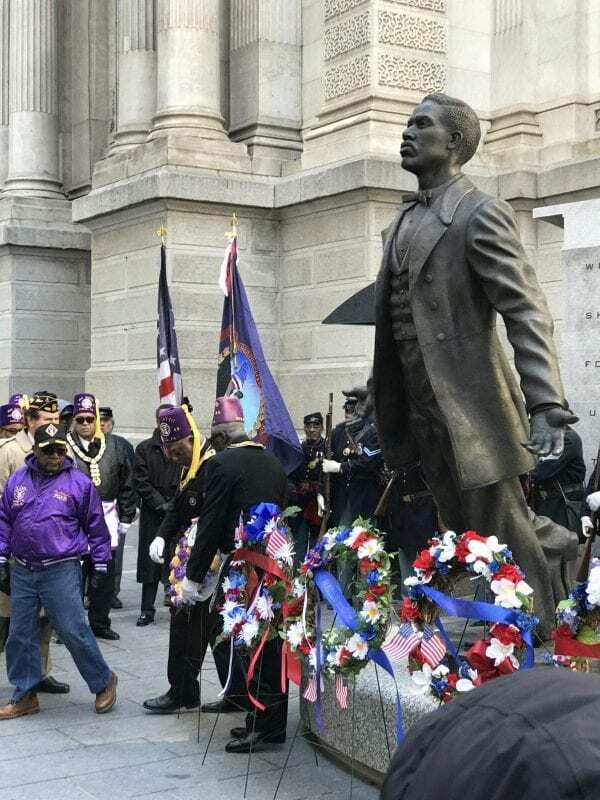 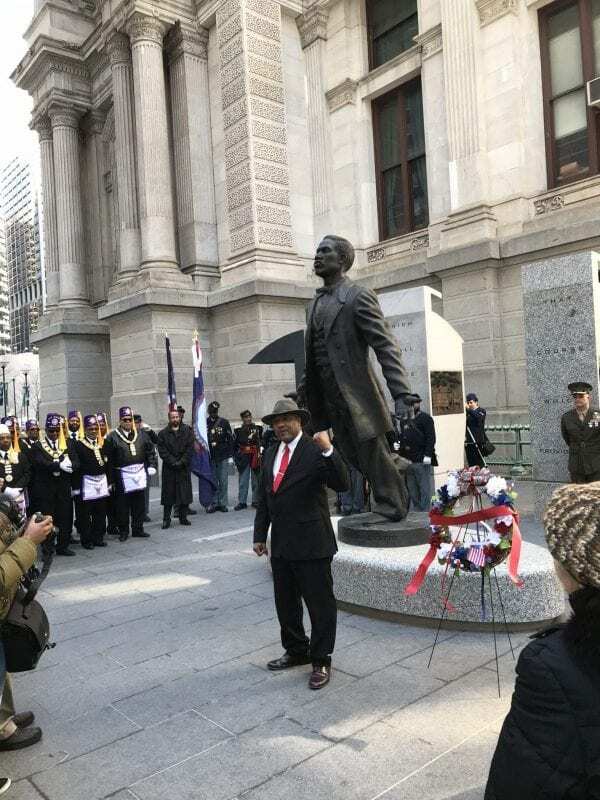 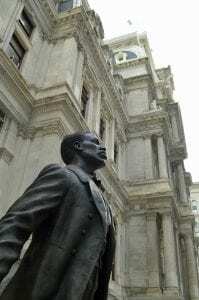 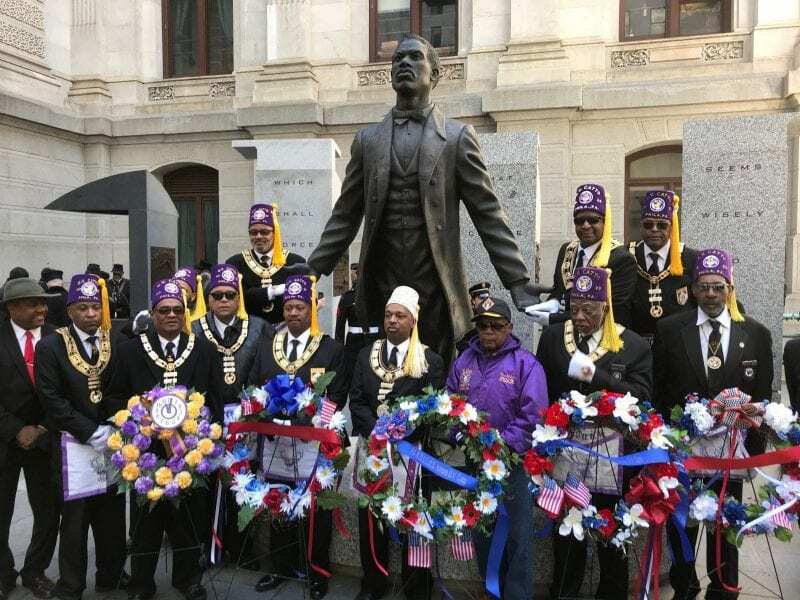 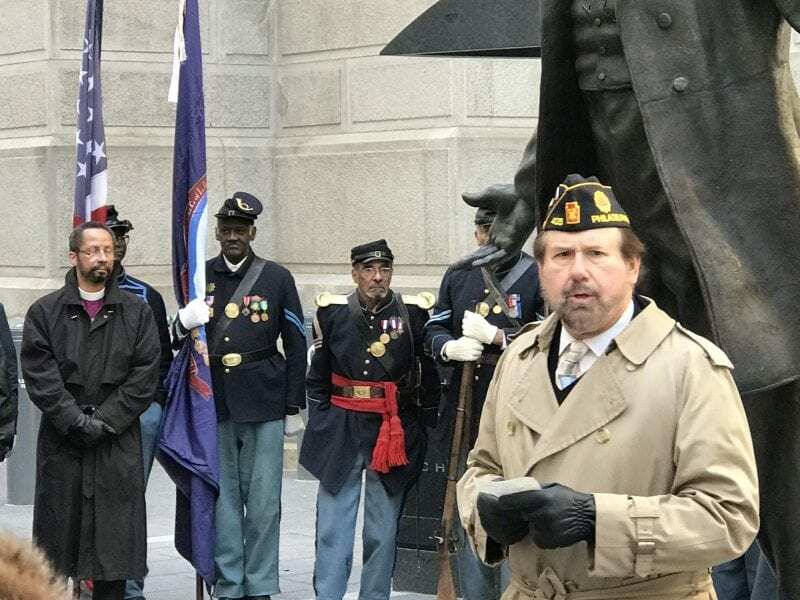 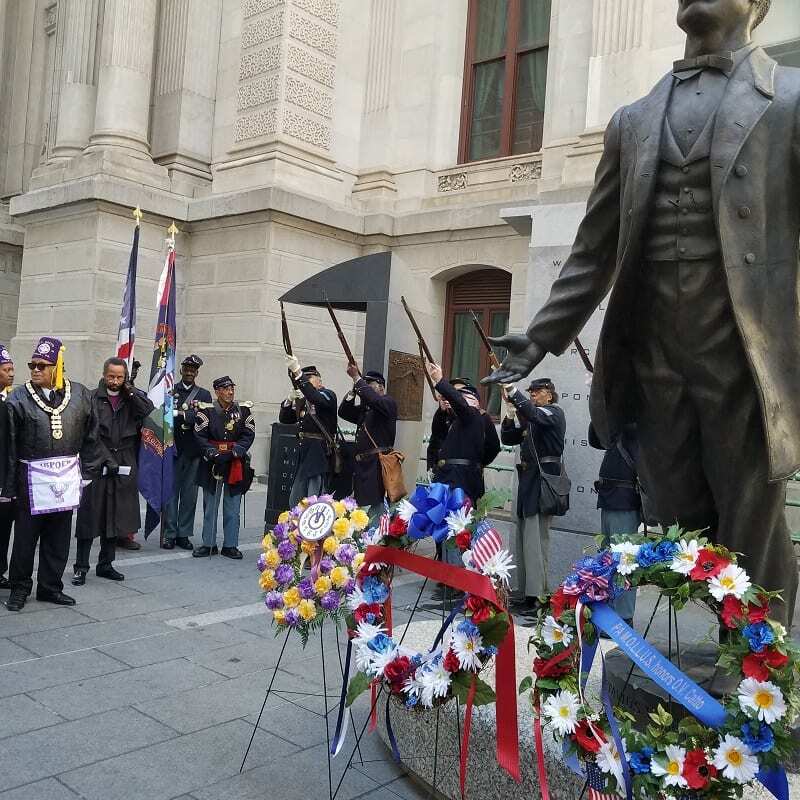 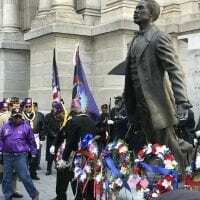 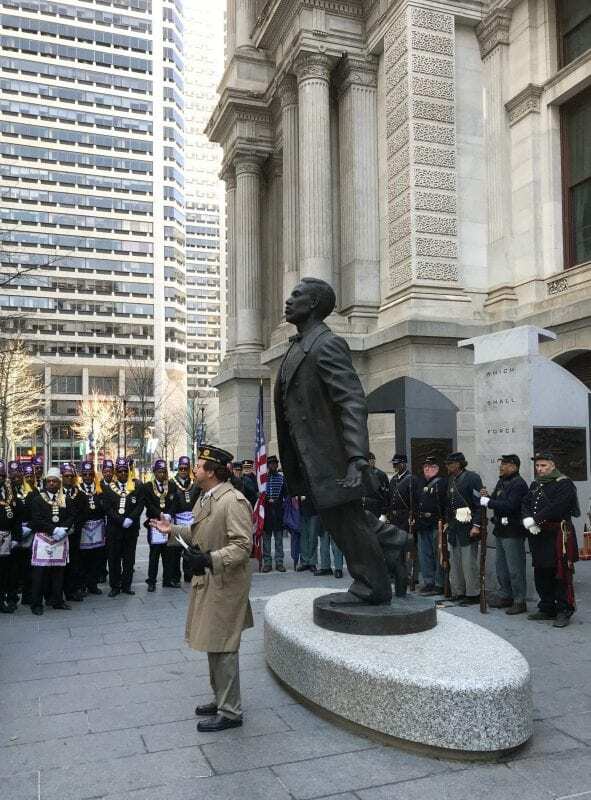 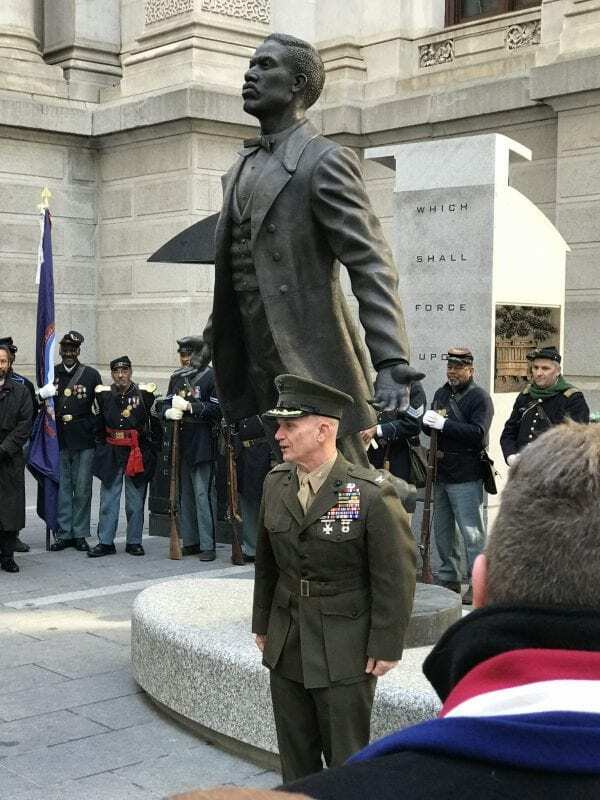 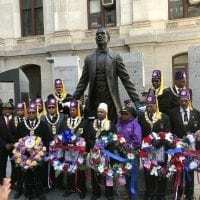 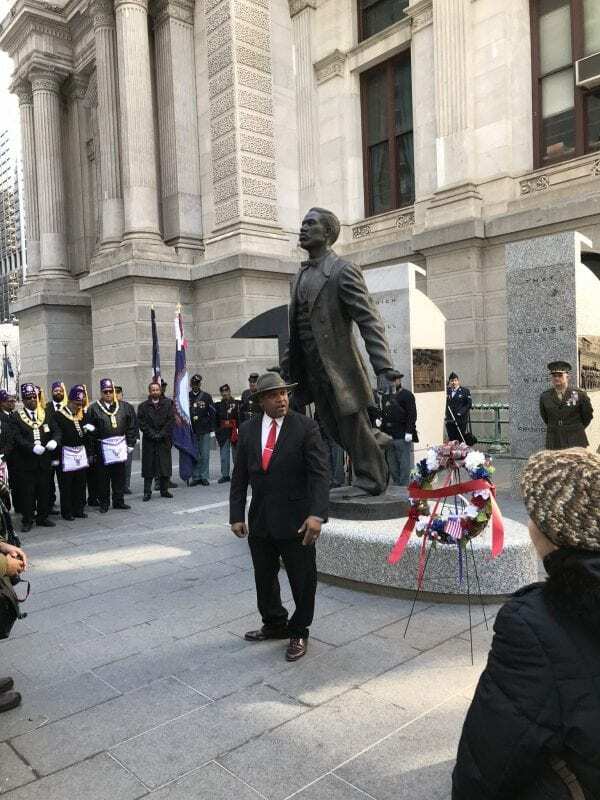 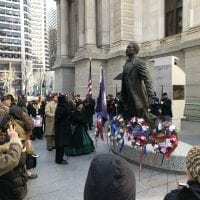 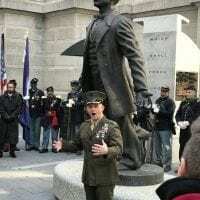 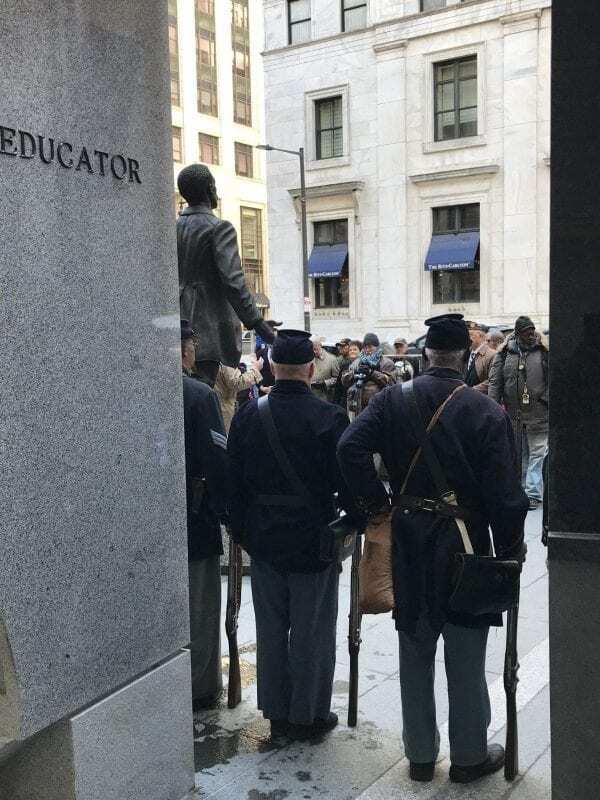 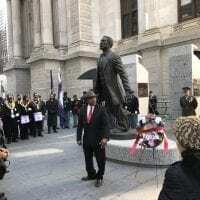 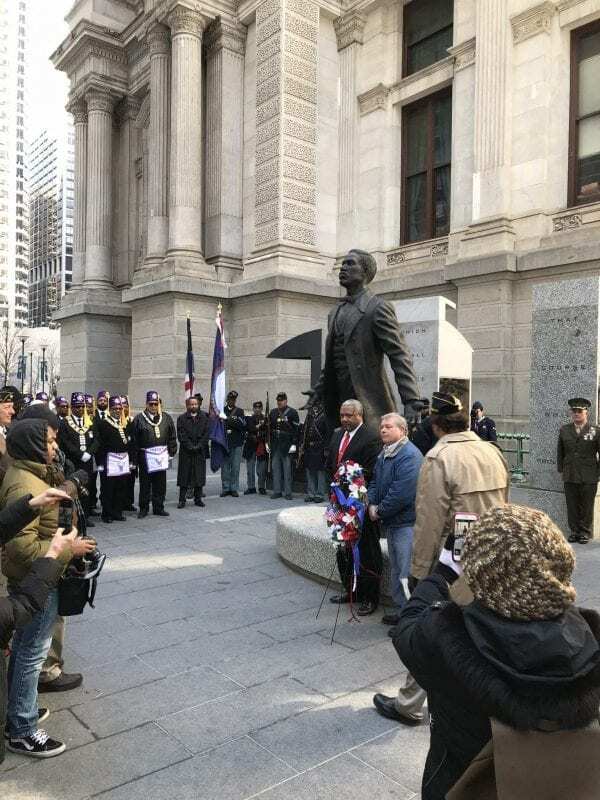 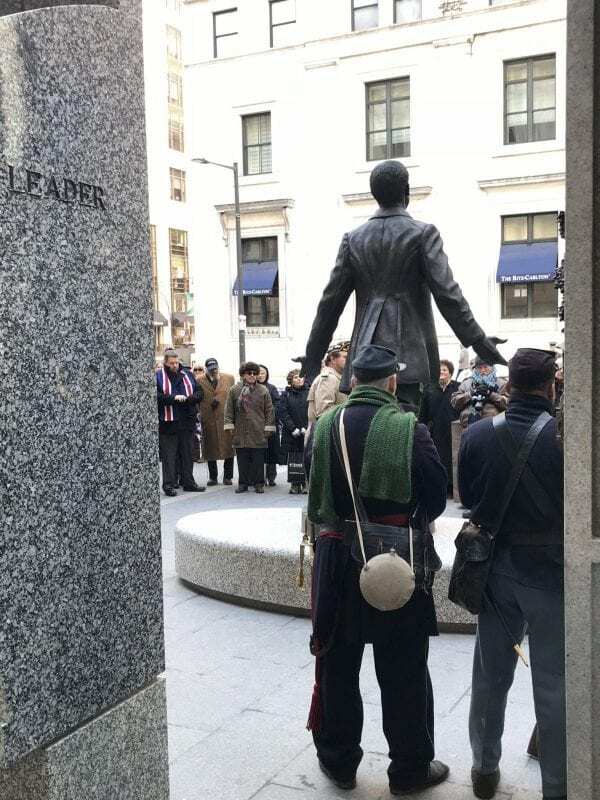 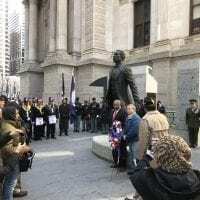 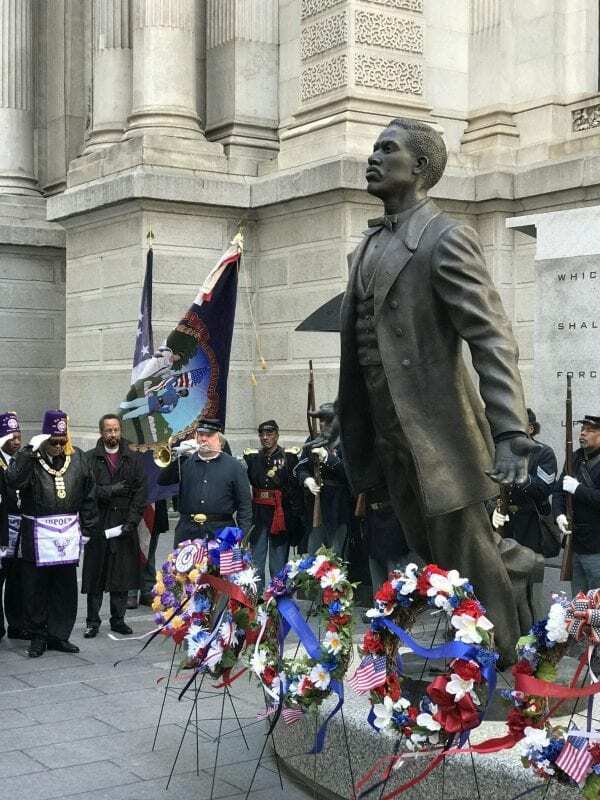 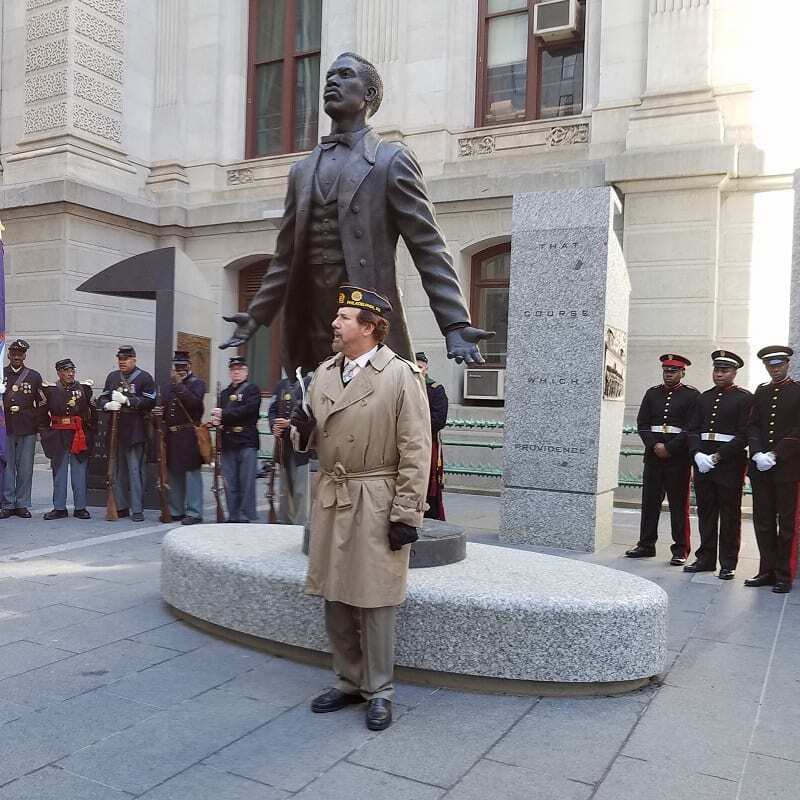 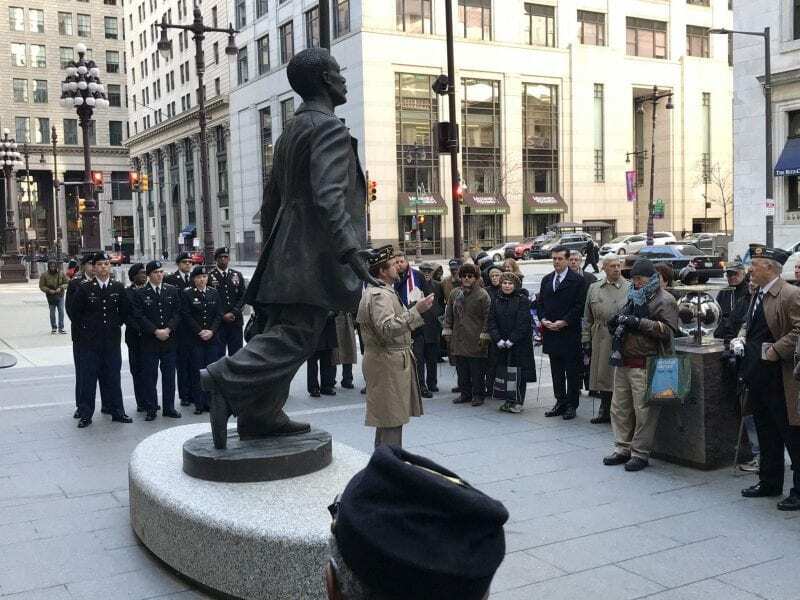 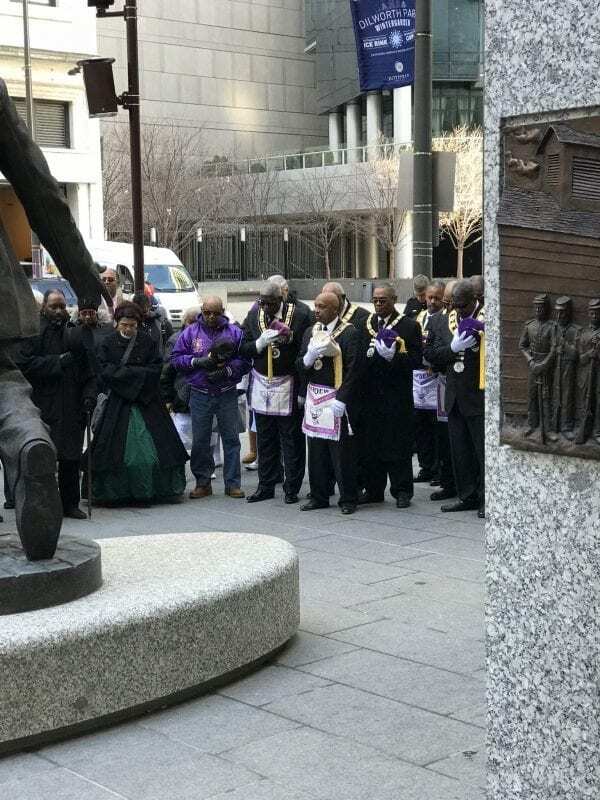 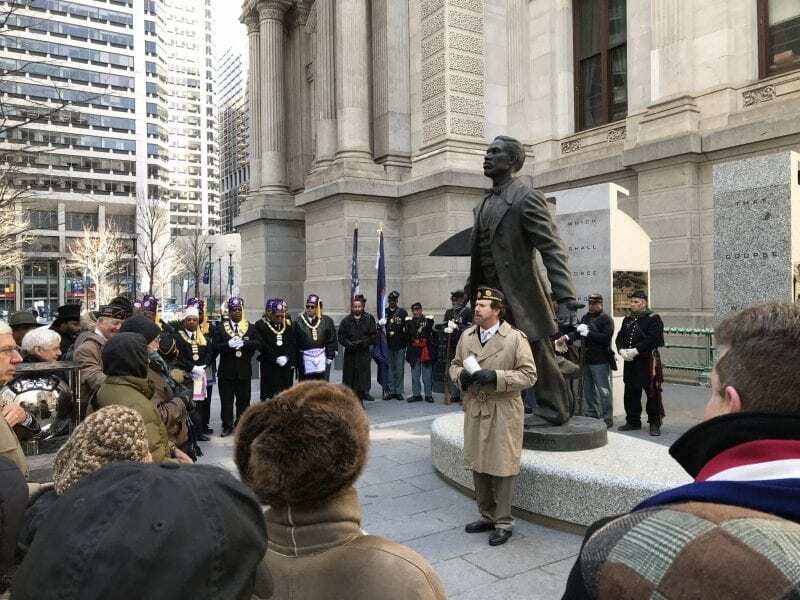 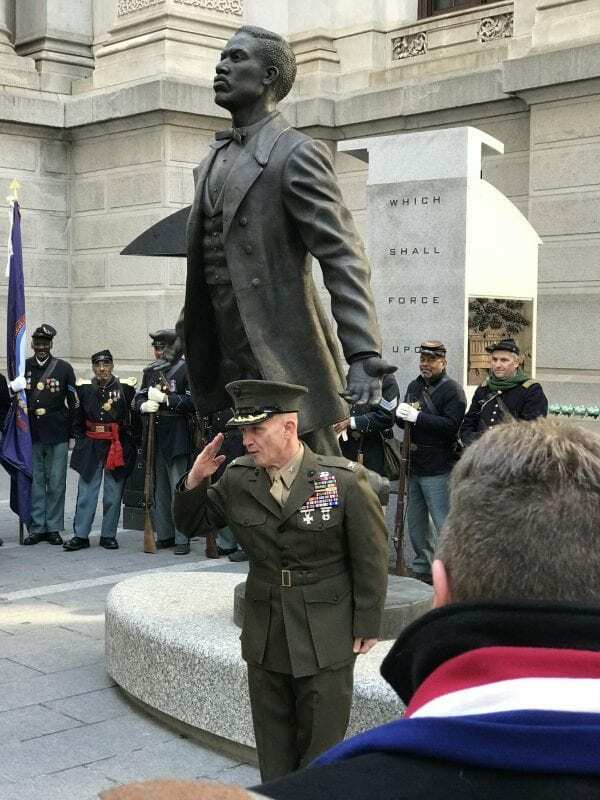 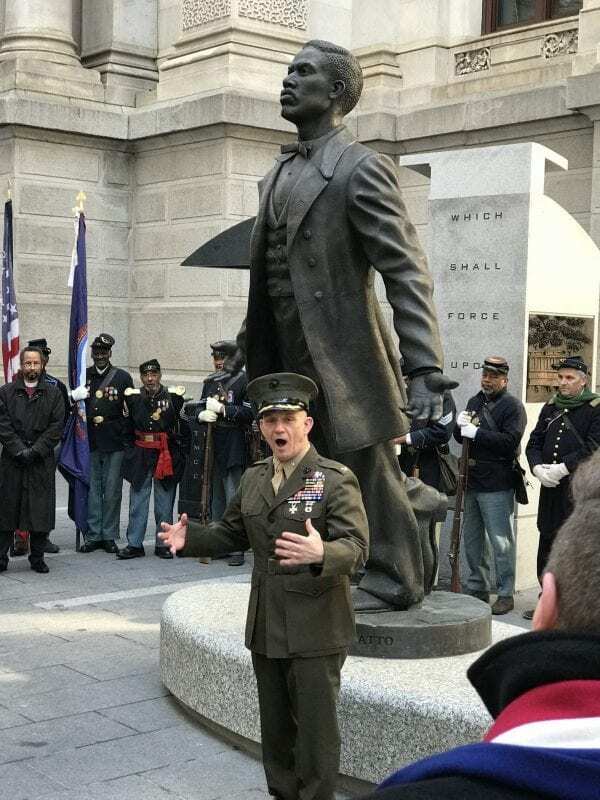 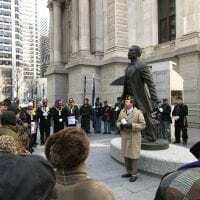 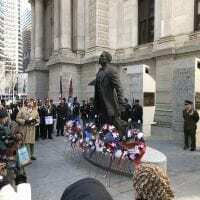 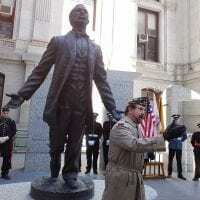 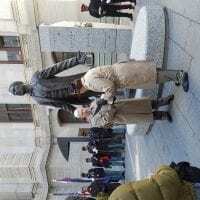 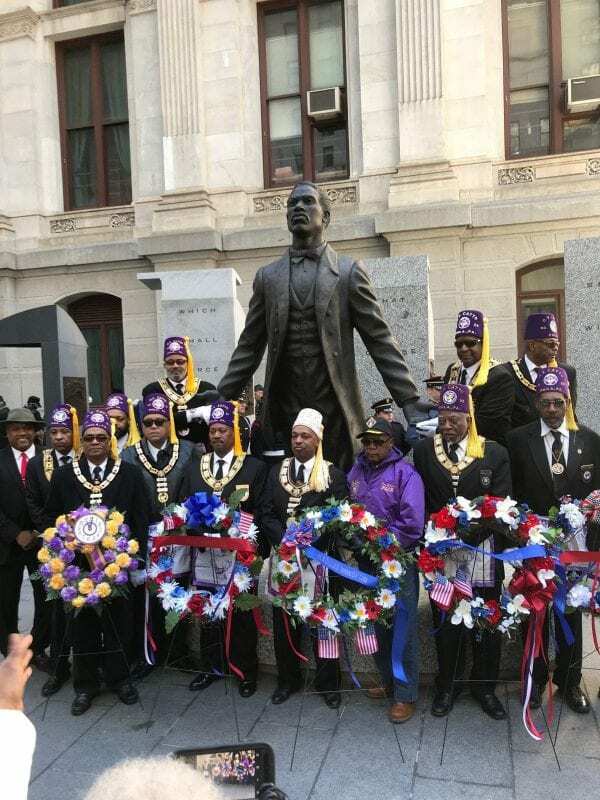 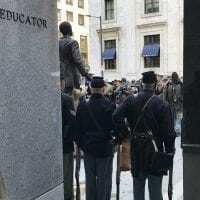 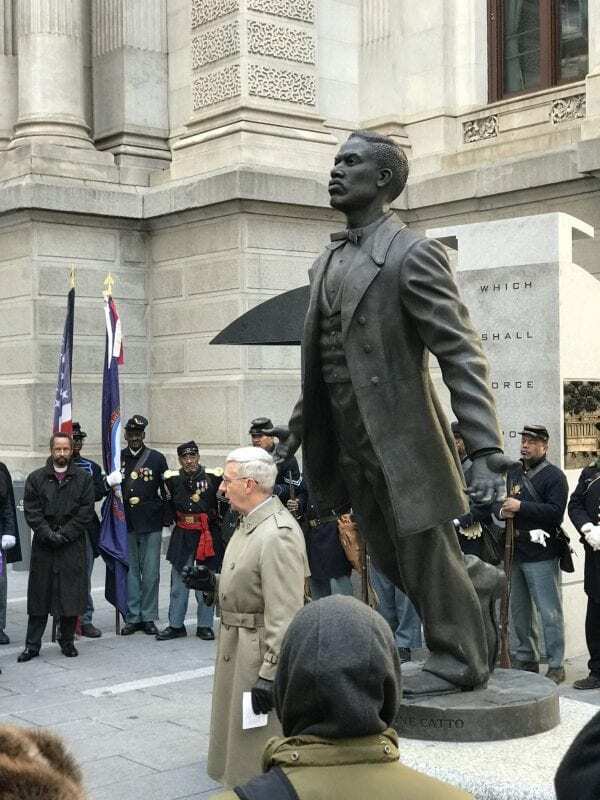 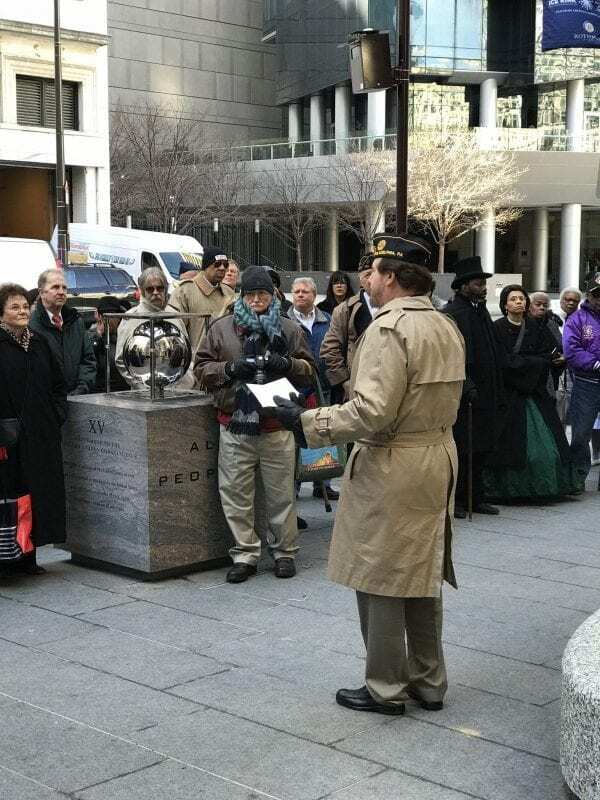 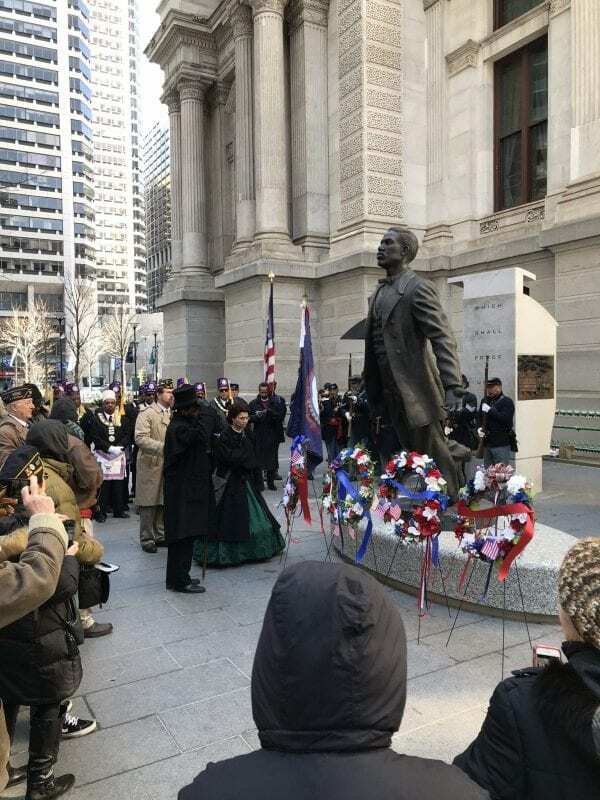 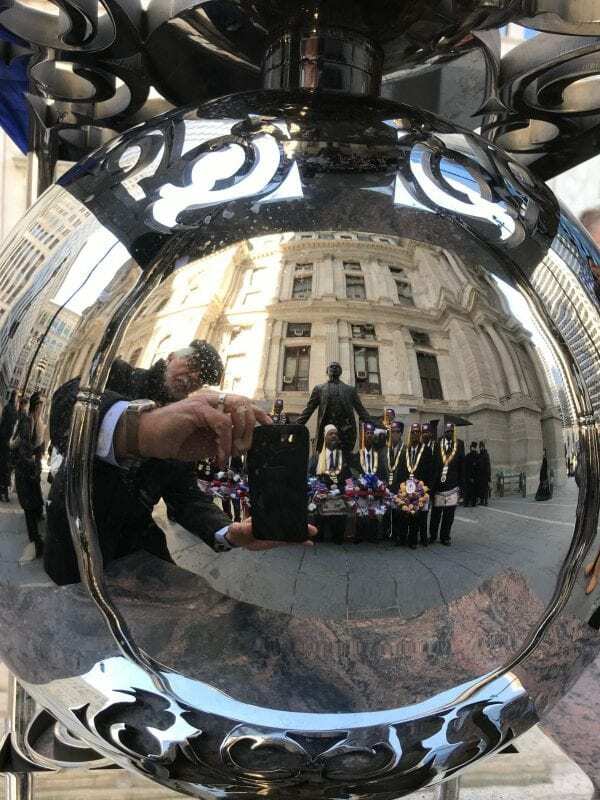 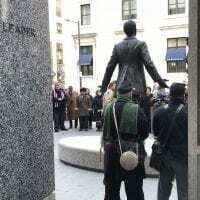 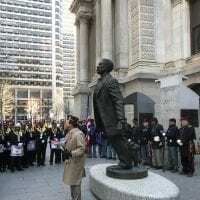 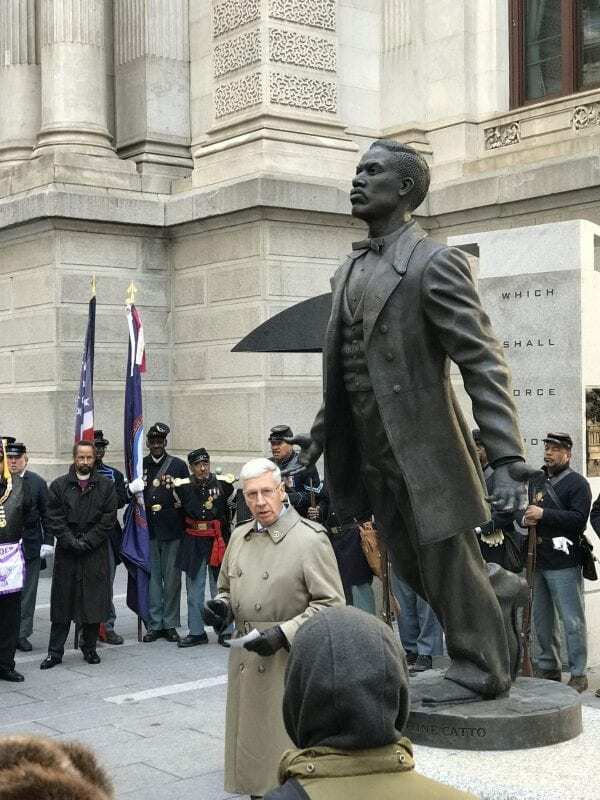 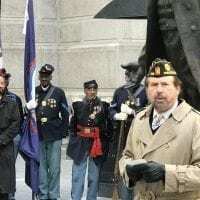 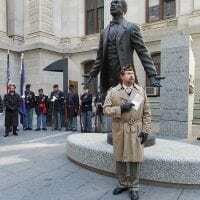 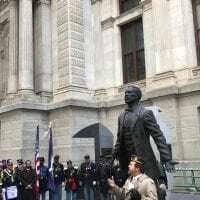 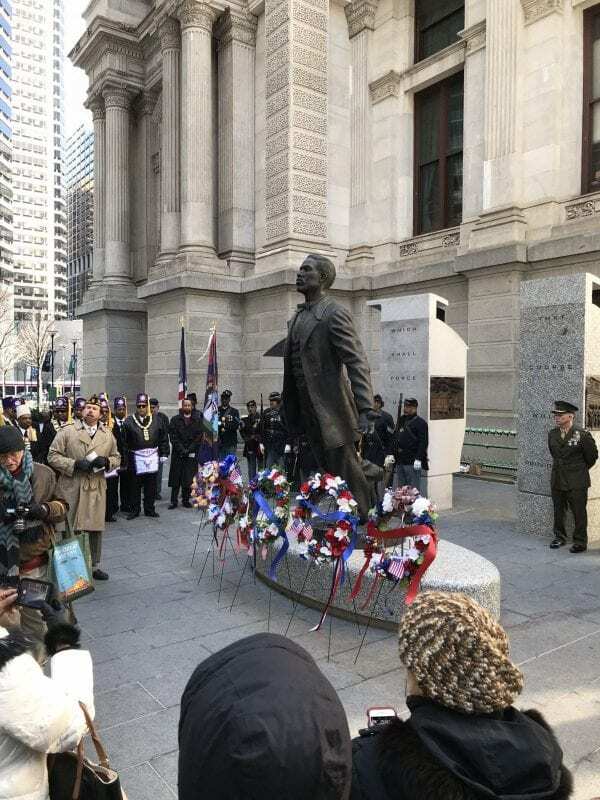 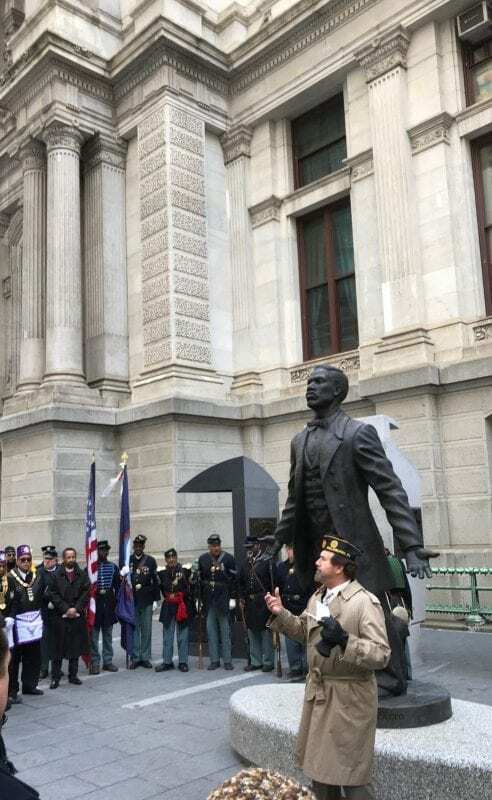 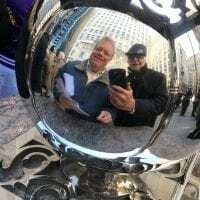 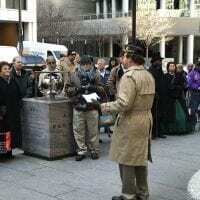 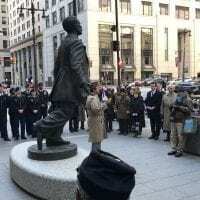 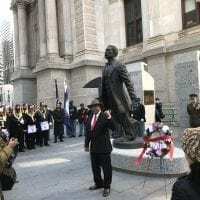 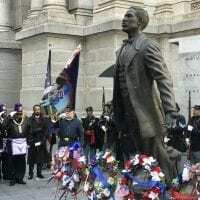 The Major Octavius V. Catto Honor Cere­mony began at 11:00 am at a new location this year: the new O.V. 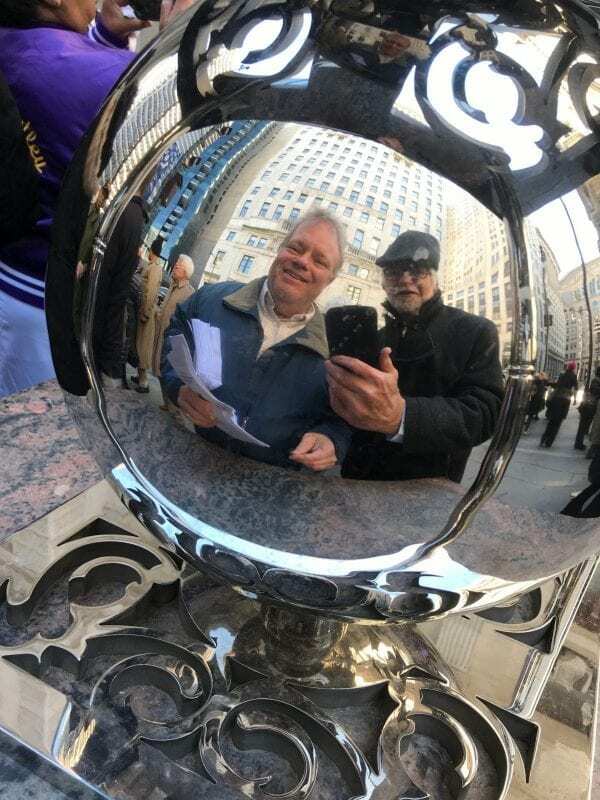 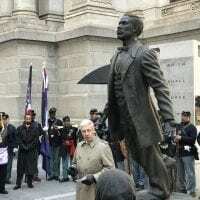 Catto Monument at the S.W. 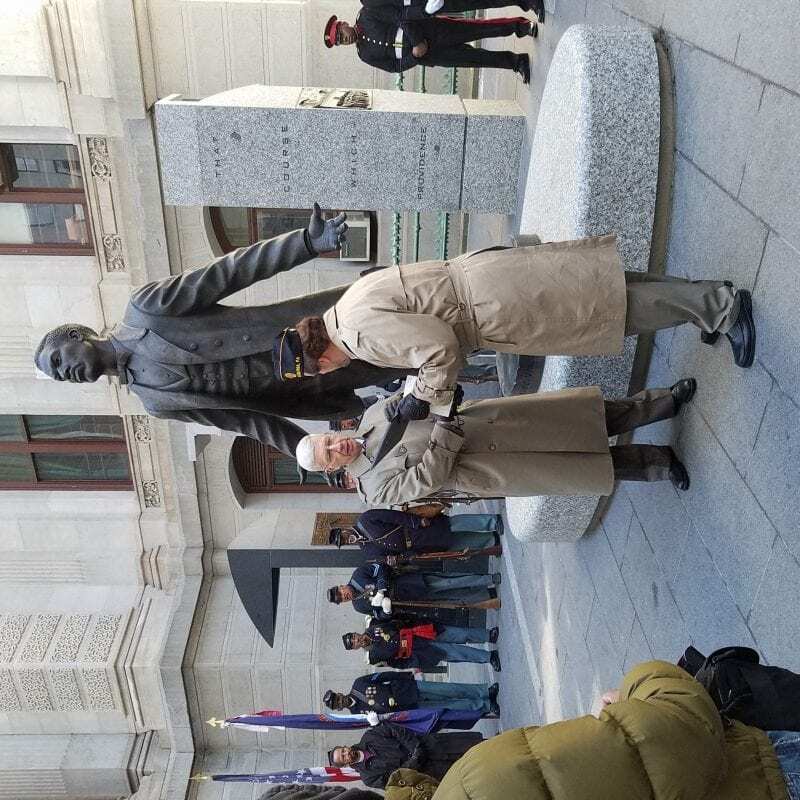 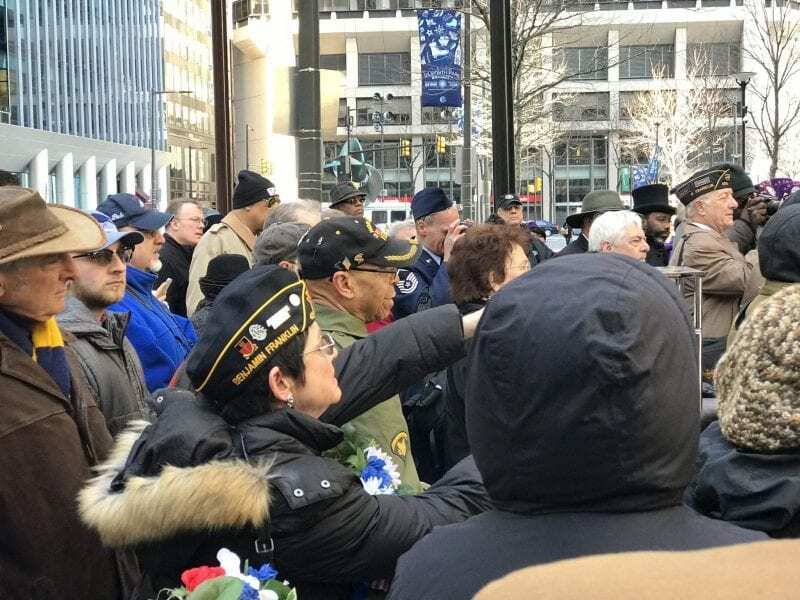 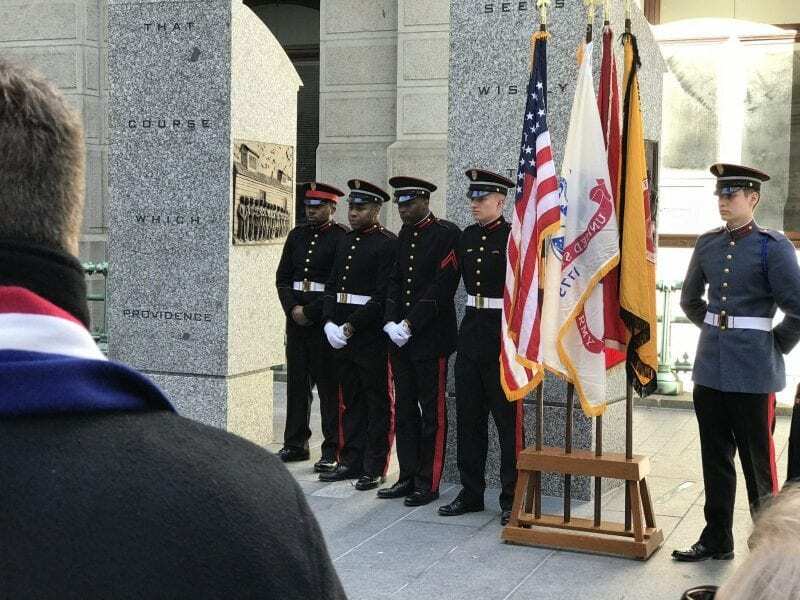 corner of City Hall for the wreath laying and honor volleys and taps. 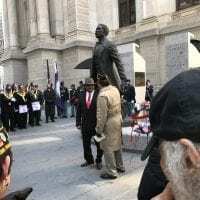 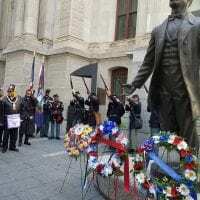 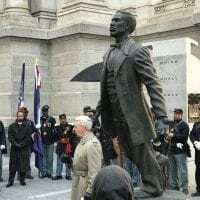 Honoring the great black equal rights and military leader with a wreath-laying ceremony, all military units, period civilians, veterans and heritage groups are encouraged to participate. 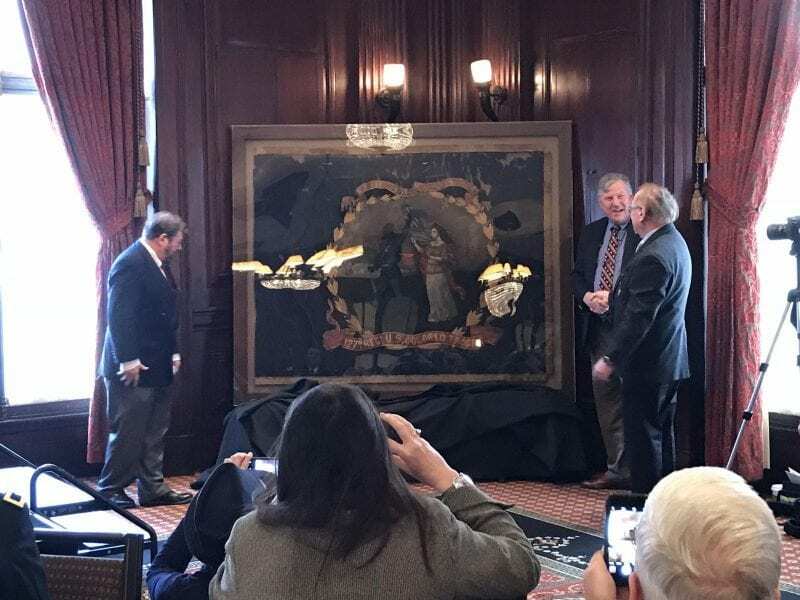 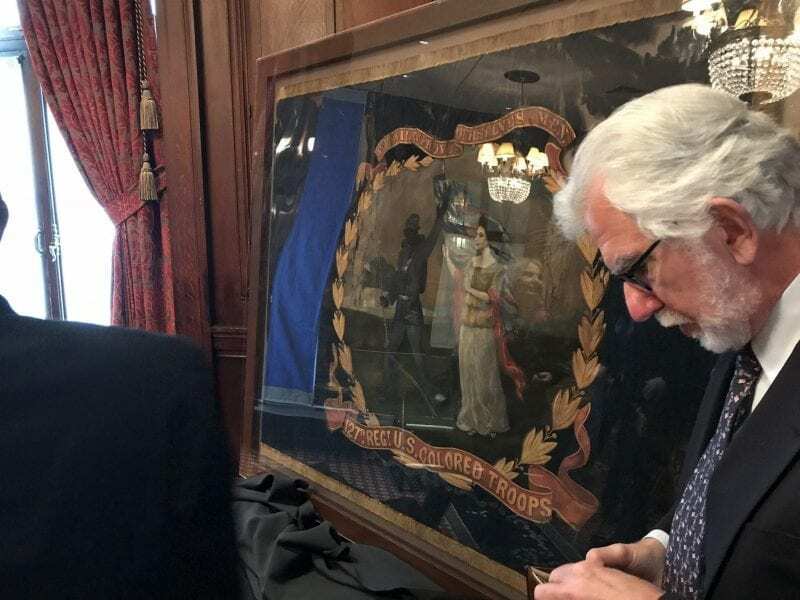 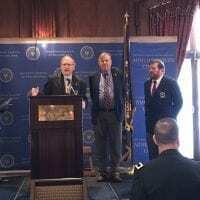 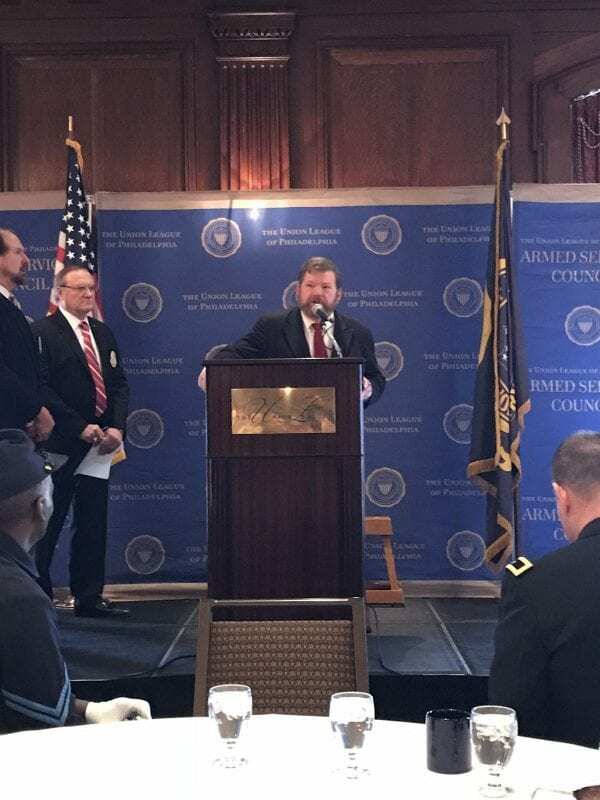 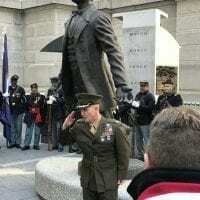 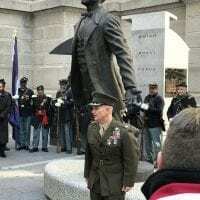 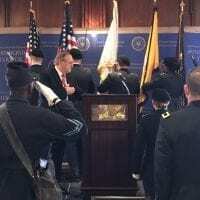 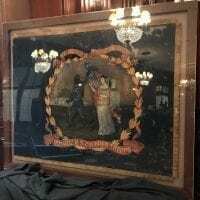 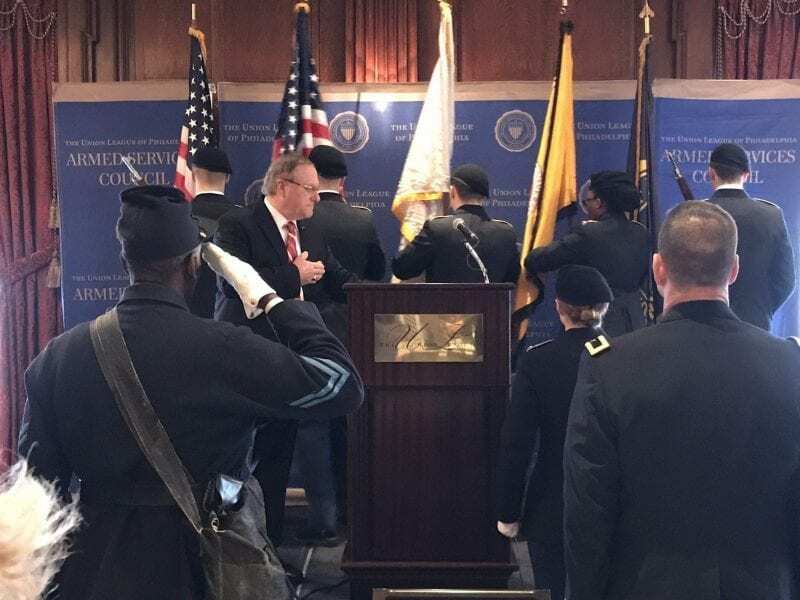 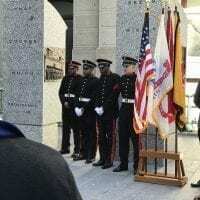 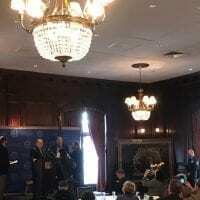 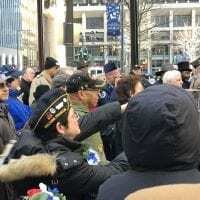 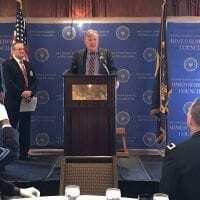 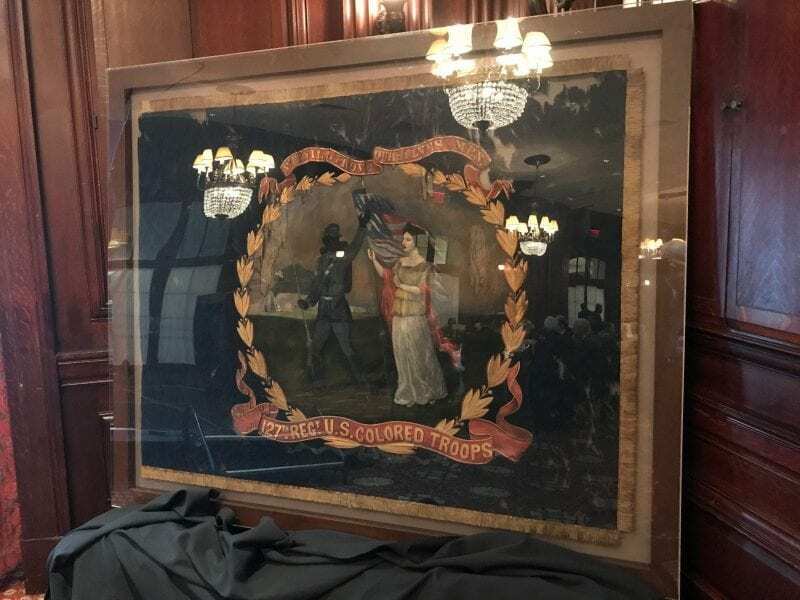 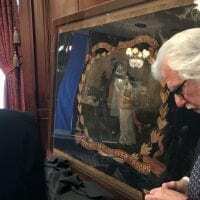 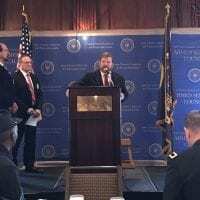 There was an unveiling of the restored battle flag of the 127th U.S.C.T. regiment, a Colored regiment raised with help from the Union League who trained at Camp William Penn. 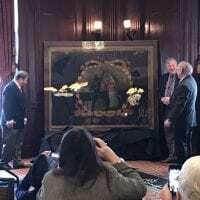 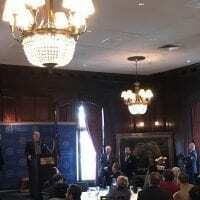 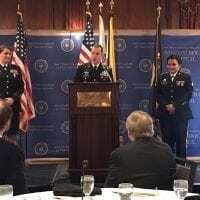 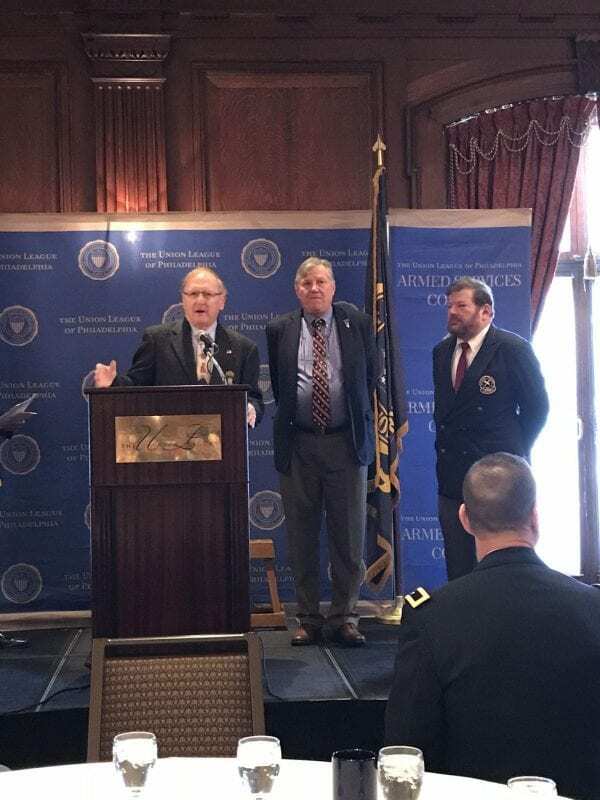 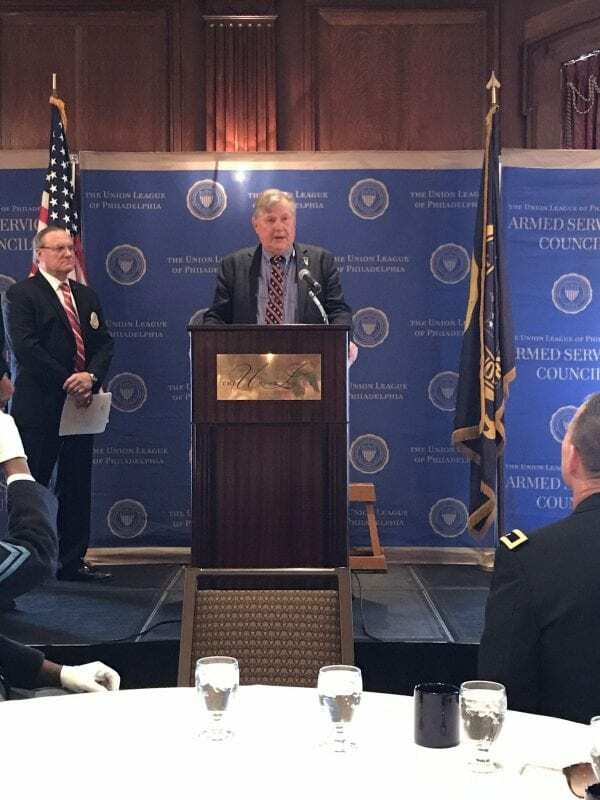 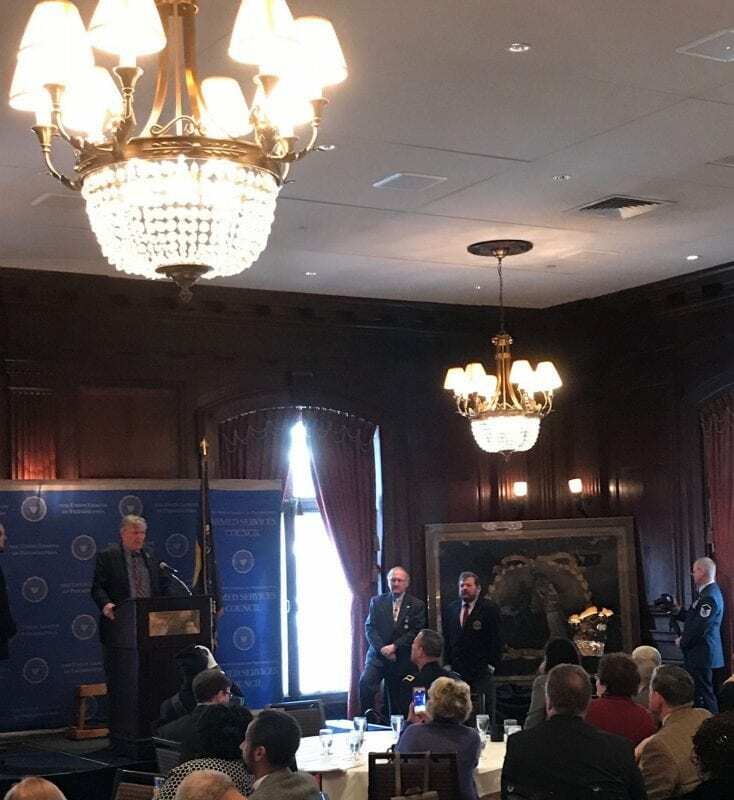 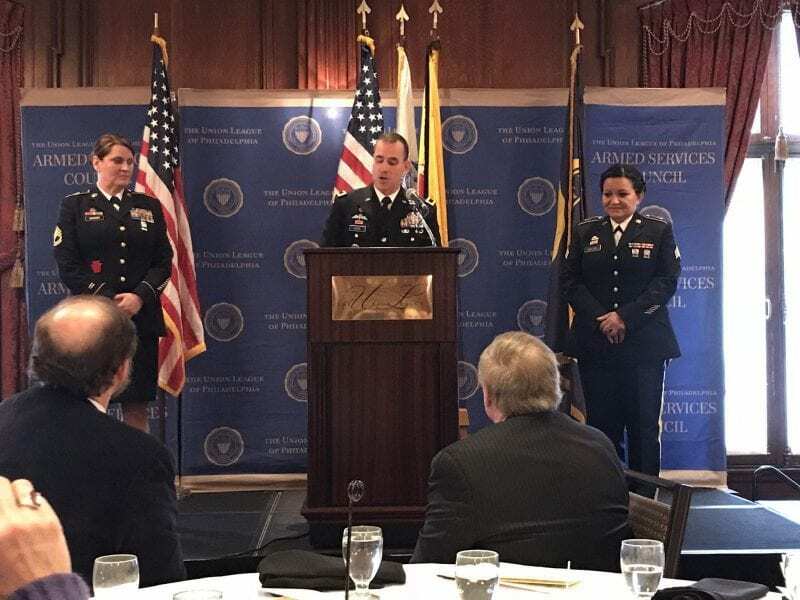 Following the ceremony there was a luncheon at The Union League.